Customers, markets and technologies don’t stand still, yet it’s all too easy for businesses to make important decisions without accounting for the fact that change is inevitable. Product Thinking, a more progressive approach to planning and rolling out work, recognises that experiences should develop alongside the evolving expectations of customers, that adaptability is vital, and that constantly moving forward and improving is the only way to stay ahead. A Product Thinking approach involves prioritising work that’ll make the biggest commercial impact, and constantly looking for ways to make the brilliant products you’ve created even better. 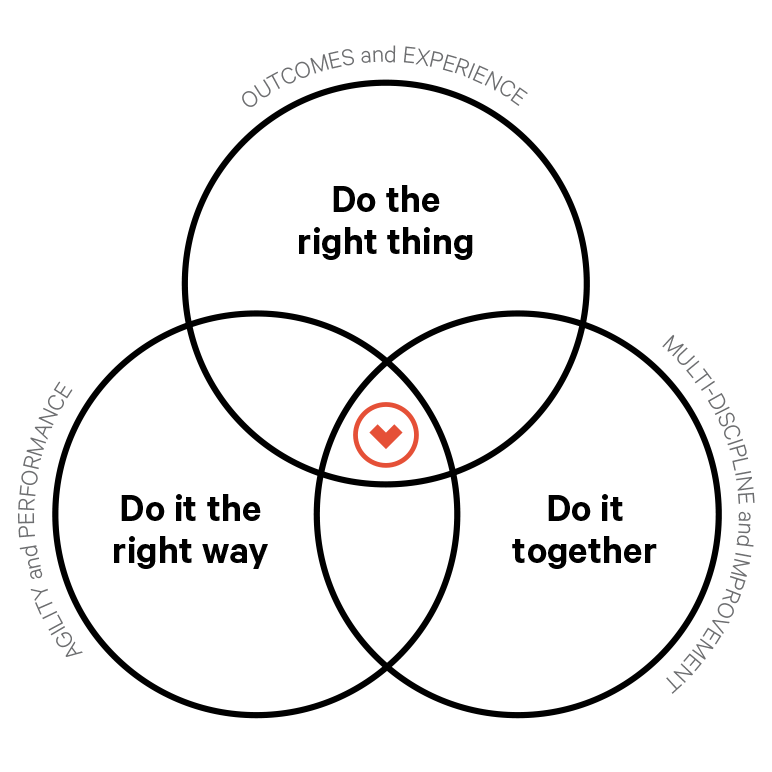 Do the right thing – implementing a clear framework for decision making and focusing on human-centred design and outcomes rather than deliverables. Do the thing right – using lean delivery practices to build, measure and learn, releasing early and often with continual insight-driven iteration and refinement, and applying modern engineering principles (such as decoupled architecture, test-driven development and continuous deployment). Do it together – removing the silos of an organisation for speed and effectiveness and aligning the entire culture towards shared goals and metrics, with autonomy in teams to find the best way forward. By fostering this non-siloed culture based around clearly-defined goals in their organisation, businesses can stay agile and more immediately correlate investment with commercial return. It’s an approach we consistently apply to the digital products we create here at Code Computerlove, and we’ve helped numerous clients adopt a Product Thinking approach internally too. Everyone from manufacturers to digital agencies like us apply Product Thinking. A ‘digital effectiveness’ survey we conducted in collaboration with Econsultancy revealed that many top performing businesses are taking on its characteristic behaviours. The report demonstrated some of the differences in mindset between respondents that are outperforming or performing well, and those who aren’t. It revealed that top performers are more likely to be looking to ‘increase customer lifetime value’ than their mainstream counterparts (68% vs. 47%). Similarly, they’re aiming to ‘speed up their performance’ (50% vs. 38%), ‘improve the integration of the business’ (49% vs. 30%), ‘achieve defined deliverables’ (46% vs. 27%) and ‘develop internal knowledge and capabilities’ (40% vs. 27%). Taken together, these aims very much reflect the Product Thinking approach.